When it comes to choosing a CRM software solution, you might be tempted to go with the company that boasts the greatest market share. Salesforce commands 25% of the CRM market, and many businesses assume that this makes Salesforce the obvious choice. In reality, though, there’s a lot more to consider when it comes to choosing the right CRM for your business. And while Salesforce may have a leg up on Dynamics 365 when it comes to market share, the 2017 Gartner Magic Quadrant for Sales Force Automation has concluded that Microsoft Dynamics 365 for Sales is “the best bet” when it comes to a CRM. How did they come to this conclusion? Gartner’s report identifies a number of problems with Salesforce. For one thing, clients reportedly found it challenging to derive genuine value from the Salesforce CRM. Additionally, setting up useful automations in Salesforce can be time consuming. Plus, some customers complained that Salesforce’s sales tactics are “aggressive” -- a major turn-off for business owners. 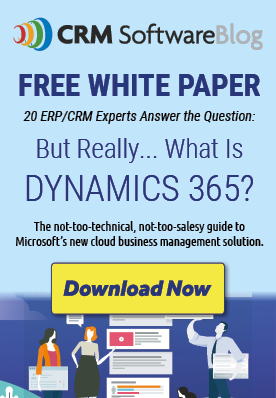 Meanwhile, Gartner found Microsoft Dynamics 365 to be a flexible, easily customizable, and in many cases lower priced alternative to Salesforce. But let’s get more specific: below, we’ll look at 7 reasons why Dynamics 365 CRM is a better choice for your business than Salesforce. We all know that features matter, but flexibility is arguably even more important in a CRM solution. Your software should be customizable to fit your organization -- you shouldn’t have to change your practices in order to fit your CRM. Microsoft Flow and Microsoft PowerApps are excellent examples of how Dynamics 365 CRM can be customized to fit your business’ unique needs. With Microsoft Flow, you have the ability to automate specific events (known as Workflows) between apps and services, receive up-to-date notifications, gather data, sync your files, and more. The possibilities are endless. With Microsoft PowerApps, you can create custom apps tailored to your business. These apps can tackle complex business problems such as field sales, inspections, and integrated marketing views. Which CRM solution is best for increasing productivity? The answer is Dynamics 365. In addition to Flow and PowerApps, you’ll have the ability to sync other software such as Office 365, Outlook, and Power BI with your CRM. Doing the same with Salesforce is complicated and time consuming. Microsoft offers this flexibility with the help of its Common Data Service (CDS), something that allows Dynamics 365 to move beyond the typical limitations of CRM software. On the surface, Dynamics 365 and Salesforce.com offer similar interfaces. However, users already familiar with other Microsoft software will find Dynamics 365 easier to master. Plus, Dynamics CRM offers easy-to-use mobile apps. On top of that, Dynamics 365 does a great job of gamification when it comes to your sales team -- a feature set that’s only available as an add-on purchase in Salesforce. When it comes to support and deployment, Dynamics offers a clear advantage. Salesforce.com is online-only, while Dynamics 365 boasts Cloud, on-premises, and hybrid installation options. Combined with Dynamic’s licensing flexibility and 99.9%-backed SLAs, Salesforce simply can’t compete in this department. Salesforce offers static Excel export options, but more advanced analytics funtionality will cost extra. Unfortunately, Salesforce does not offer list views. Meanwhile, Dynamics 365 CRM’s export features include flexible and relevant Excel-based functionality such as interactive exports. You can even export to Excel from your phone or tablet. In addition, Power BI Apps for Sales comes with built-in and easy-to-share templates. Pricing is an essential consideration regardless of a software’s feature set. Salesforce.com’s base pricing may seem affordable, but the costs associated with various field service, data, and analytics packages (in addition to storage, support, and subscription fees) can add up quickly. Also, Salesforce’s Enterprise Edition -- a necessity for larger businesses -- comes with a higher price tag. Microsoft Dynamics 365’s overall cost per user is lower than that of Salesforce. You also get access to features such as field service, sales gamification, social engagement, and more. Salesforce doesn’t include these features in its base pricing. Additionally, Dynamics 365 offers storage and support at lower prices. Are you planning to grow your business in the future? If so, Dynamics 365 is ready to grow right alongside you. Compared to Salesforce, Dynamics 365 is highly responsive and ideal for a changing and expanding business. While it’s true that Salesforce commands a large market share, there are more important factors to consider in choosing the right CRM for your business. With Dynamics 365, you’ll have a customizable, flexible, easy-to-use and affordable solution that can grow with your business. Still not sure if Dynamics 365 is the right choice for your organization? Check out this case study to learn why a global leader in indexing and asset allocation made the switch from Salesforce to Dynamics. 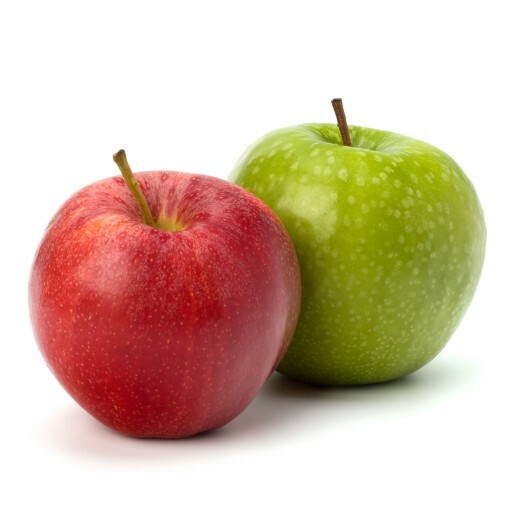 Standard or Customized CRM Solution: Which One Should You Consider?